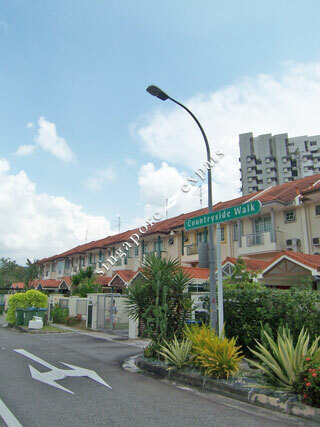 THE COUNTRYSIDE is located at 10 COUNTRYSIDE PLACE in district 26 (Tagore, Yio Chu Kang) of Singapore. THE COUNTRYSIDE is a Freehold Landed Estate development consisting of 245 units. THE COUNTRYSIDE is completed / TOP in 1997 (estimated), developed by SELETAR PROPERTIES PTE LTD.
Educational institutions like LYCEE FRANCAIS DE SINGAPOUR, GEMS WORLD ACADEMY (SINGAPORE), AUSTRALIAN INTERNATIONAL SCHOOL, ANDERSON PRIMARY SCHOOL, MAYFLOWER PRIMARY SCHOOL and CHIJ ST. NICHOLAS GIRLS' SCHOOL (PRIMARY) are near to THE COUNTRYSIDE. THE COUNTRYSIDE is accessible via nearby YIO CHU KANG, ANG MO KIO and KHATIB MRT Stations.